Alcohol abuse leaves victims with severe health and social complications and reduced quality of life. Find free alcohol helplines to call in New Jersey. Delphi Health Group connects callers to addiction experts and professionals who will provide free treatment advice, counseling, and recommendations. Services offered by Delphi Health Group are usually under insurance coverage. Contact a representative today by dialing the alcohol help hotline on (866)-520-2708. Calls can be made any time of the day, any day of the week and all calls are treated with 100% confidentiality. 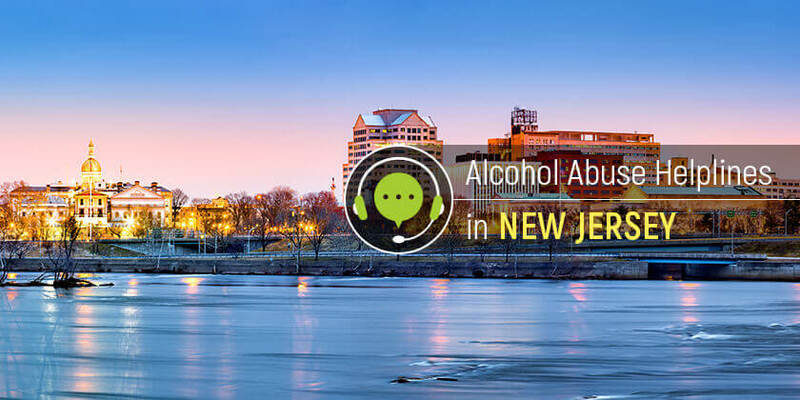 The New Jersey Addiction Services Hotline connects clients to state-approved preventive, treatment, and rehabilitative services for alcohol addiction. The free alcohol helpline also connects callers to support groups to help overcome the addiction. Call the alcohol helpline free at 1-844-276-2777 to speak with a professional and get connected today. New Jersey 211 connects people struggling with alcohol dependence with treatment, recovery, and support services across the state. Call 2-1-1 and get information on where to get the best help for alcohol addiction in New Jersey. Potential clients can also call 1.844.ReachNJ (1.844.732.2465) to speak to an agent. Calls are free, multilingual, confidential, and available 24/7/365. The Substance Abuse and Mental Health Services Administration (SAMHSA) National Helpline phone is available at 1-800-662-HELP (4357). It connects individuals and families with alcohol addiction to information and resources for alcohol recovery and rehabilitation. The bilingual (English and Spanish) helpline representatives also provide treatment referrals to approved programs and facilities in the state any time of the day and night. Call these alcohol help hotlines for access to information and resources for alcohol treatment, and referral to the best alcoholism treatment program in New Jersey.